The Southern Californian outfit that was hailed in Edward Macan’s seminal book Rocking the Classics as one of the front-runners of “new” progressive rock have reached another milestone in their career – their 30th anniversary. 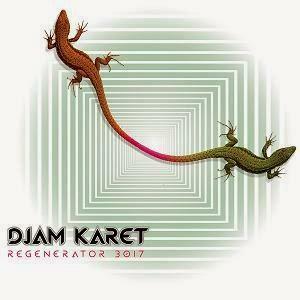 Djam Karet – formed in 1984 as a quartet comprising Gayle Ellett, Mike Henderson, Henry J. Osborne and Chuck Oken, Jr. – are back with their 17th album, Regenerator 3017, featuring about 41 minutes of brand-new music, recorded by the band’s original line-up, plus guitarist Mike Murray (who joined the band for 2010’s live-in-the-studio album, The Heavy Soul Sessions). The album follows The Trip, an intriguing vintage space-rock workout that was released in 2013, and in some ways complements it, showing a different side of the band’s creative inspiration. Quite interestingly for a band who have made a banner of their music’s lack of commercial potential (cue the title of their debut album), Regenerator 3017 – while not truly likely to endanger the reign of the likes of Beyoncé or Kanye West as darlings of the wider music-buying public – does possess quite a lot of appeal for listeners who would ordinarily be put off by prog’s excessive ambitiousness. Melody and atmosphere are the name of the game – a smoothly flowing, ear-flattering musical content imbued with a relaxed West Coast vibe. As Djam Karet proudly stress on all their albums, Regenerator 3017 was recorded without any compression or computer manipulation – resulting in a warm, organic sound that emphasizes ensemble playing, while not failing to highlight individual performances. The breezy, summery feel of opener “Prince of the Inland Empire”, its lazy, jazzy allure faintly tinged with reminiscences of Seventies dance music, might be somewhat of a surprise (or even a turn-off) to anyone expecting something along the lines of The Trip – let alone Djam Karet’s most Crimsonesque works, such as The Devouring or Burning the Hard City. 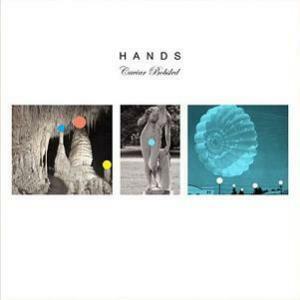 The interplay between guitar and keyboards adds to the charm of the upbeat passages, interspersed by more sedate, almost meditative moments, in a style that put me in mind of early Camel. Things take a decidedly different turn with the classic, elegant jazz-rock sound of “Living in the Future Past”, featuring some stellar electric piano from Ellett, as well as a drop-dead-gorgeous guitar solo – the whole rounded out by mellotron and Herd of Instinct’s Mark Cook’s Warr guitar. Equally understated, but more in line with Djam Karet’s trademark sound (as aptly summed up in the already-mentioned The Heavy Soul Sessions), the 7-minute “Desert Varnish” intrigues with its tantalizing use of quiet-loud patterns spotlighting Chuck Oken Jr’s textural drumming and Henry J. Osborne’s discreet but unmistakable bass, then allowing the guitar to take the lead in a reverberating escalation. Not surprisingly, “Wind Pillow” is mellow and atmospheric, with layers of keyboards and more than a cursory nod to Pink Floyd (“A Pillow of Winds” is the title of a song from Meddle). “Lost Dreams” continues much in the same vein, down to the measured, slightly plodding pace and Gilmourian guitar solo. Choral mellotron lends a symphonic tone to the soothing yet wistful guitar and moog in “Empty House”, underpinning the subtle flares of intensity and the climactic beauty of the slow, expressive guitar soloing. Rippling piano and fiery lead guitar shine in closing track “On the Edge of the Moon”), vying with the classical-tinged presence of the mellotron in a lovely, evocative 8-minute slice of atmosphere with some welcome bite. While Regenerator 3017 might disappoint those who were expecting a throwback to Djam Karet’s Crimsonian roots, its deceptively lazy, upbeat feel and accessibility may well gain the band a few well-deserved new fans. Aficionados of Pink Floyd (especially the years between Meddle and Wish You Were Here) and Camel’s instrumental output will definitely find a lot to enjoy here. However, the album will offer a solid 41 minutes of very rewarding listening – even if not too overtly intricate or aggressive – to everyone with an interest in exploring the different facets of instrumental prog, and also provide a fine point of entry to Djam Karet newcomers. Last but not least, Regenerator 3017’s airy, spacious feel makes it ideal listening for the summer season that is almost upon us, without any of the cheesiness of so much stereotyped “summery” music. A special mention is also deserved by the striking, Southwestern-inspired cover designed by guitarist Mike Murray. In the late spring of 2011, the self-titled debut album by Herd of Instinct – a hitherto unknown outfit named after the only album by Talk Talk offshoot O’Rang – was released on Firepool Records, the label created by Gayle Ellett and Chuck Oken Jr, founding members of veteran US progressive rock band Djam Karet. 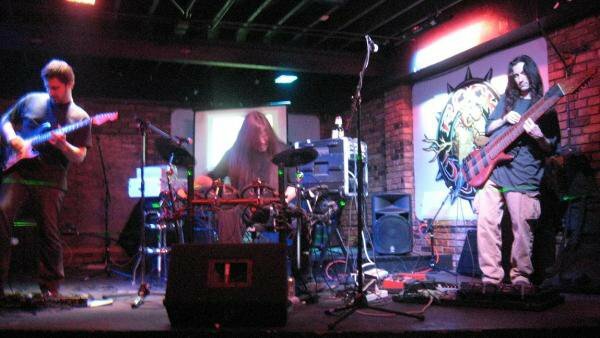 Based in the Dallas-Forth Worth area of Texas, the idiosyncratic “power trio” of Mike Davison, Mark Cook and Jason Spradlin was augmented by a number of guest musicians – some quite high-profile, such as drummers Jerry Marotta, Gavin Harrison and Pat Mastelotto, and touch guitarist Markus Reuter and Gayle Ellett himself. After a few spins, the album – at first deceptively unassuming – quickly became one of my favourite albums of 2011, also earning and Herd of Instinct my personal “best new band” award. The Mellotron takes a lead role again in the aptly titled “Mother Night”, a stately, faintly gloomy piece redolent of Scandinavian prog icons such as Anekdoten. 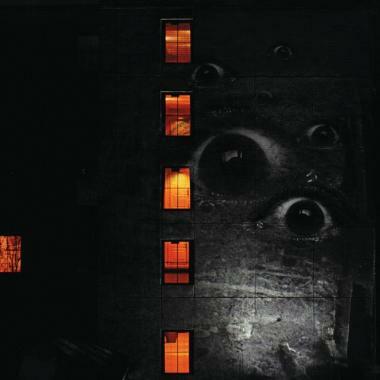 “Vargtimmen”, based on a percussion sample from Steve Tibbetts’ Friendly Fire collection, is introduced by recorded voices that intensify its brooding, ominous quality; while the somewhat harsh-sounding “Malise”, rife with buzzing electronics, is in my view the weakest link on an otherwise strong album. Urgent drumming and sharp, assertive guitar lines propel the Morricone-influenced “New Lands, which also features a particularly expressive guitar solo (almost a rarity on an album based on a tight instrumental texture rather than on individual performances). Slow and measured, “A Sense of an Ending” hints at some episodes of Trey Gunn’s output, as well as the more sedate compositions of second- and third-phase King Crimson, while the airy, spacious melody in the first half of closer “The Secret of Fire” leads to an entrancing, almost slo-mo finale enhanced by piano and spacey sound effects. Herd of Instinct have also upped the ante in terms of artwork, and Conjure comes with a strikingly sinister cover that suggests one of the Three Fates ready to sever the thread of life. Like its predecessor, the album may be a grower rather than a “love-at-first-listen” affair, and require more than a couple of absent-minded listens to make its full impact. On the other hand, with its sophistication and eclecticism, it strengthens the band’s reputation as one of the most interesting presences in the variegated “instrumental prog” universe, and will not disappoint those who had appreciated their debut. It is to be hoped that some festival organizers – either in the US or elsewhere – will also take notice.